From planter to chocolate, CÉMOI is one of the few chocolate makers that is present at every stage of the cocoa network. 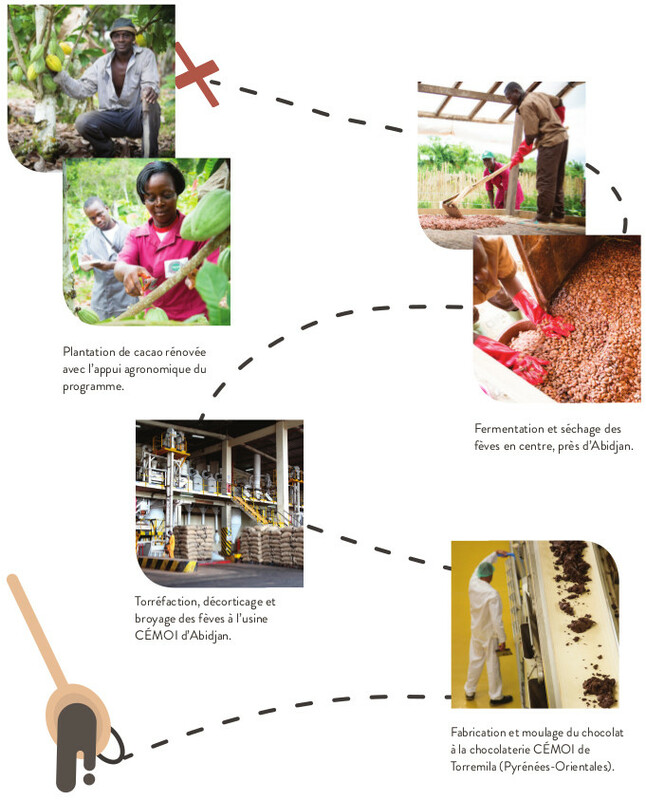 From bean to finished product, CÉMOI masters every stage of the production process with our own production sites and cocoa processing centres. This mastery of the network means that we are present for the planters and can carefully select the most aromatic beans. For more than 20 years CÉMOI has also been participating in numerous sustainable development programmes throughout the world. In Ivory Coast, the leading cocoa producing country, the CÉMOI programme accompanies planters with training and transmission of good farming practices and 17 fermentation and drying centres.